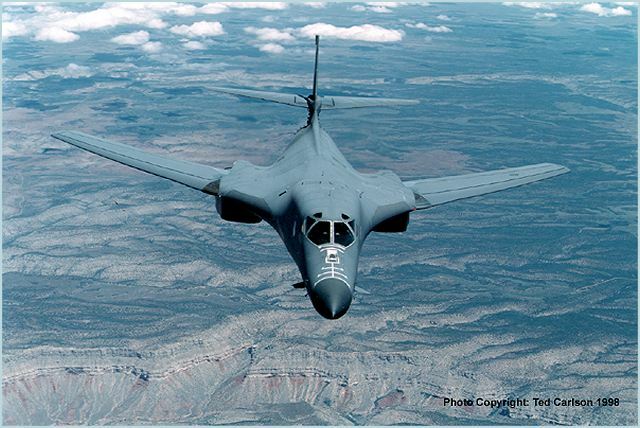 The B-1 Lancer Rockwell (now part of Boeing) is a four-engine variable-sweep wing strategic bomber used by the United States Air Force (USAF). 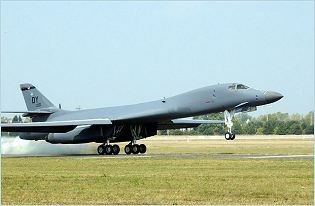 The development of the B-1A version has began in the early 1970s, but its production was canceled, and only four prototypes were built. 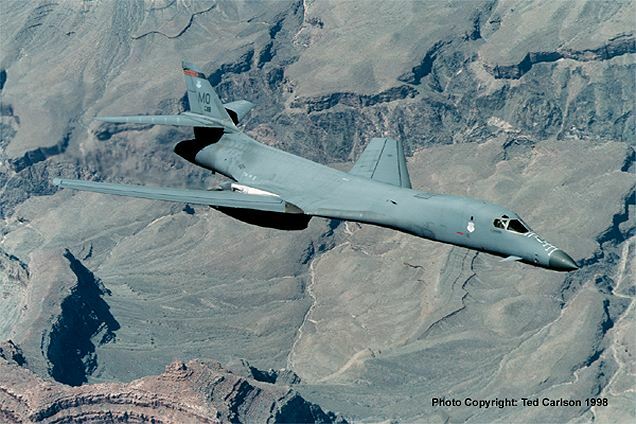 In 1980, the project has been restarted with the need for the United States Air Force for a new bomber aircraft. 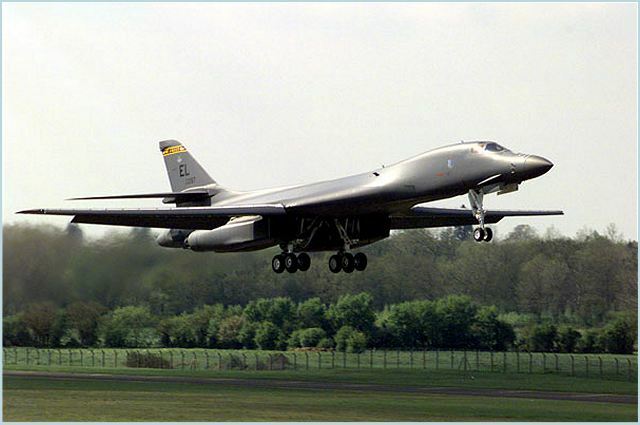 It entered first service in 1986 with the USAF Strategic Air Command as a nuclear bomber. 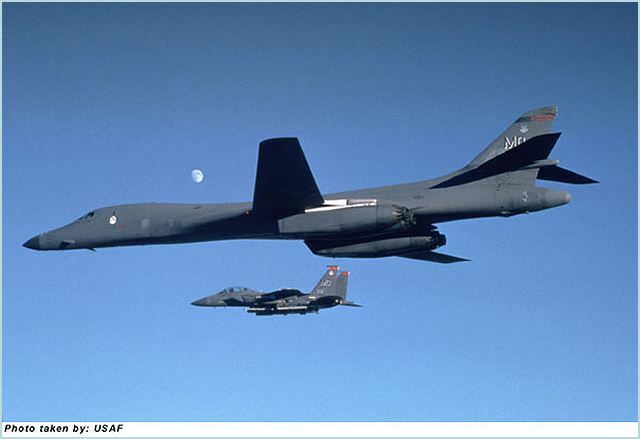 In the 1990s, the B-1B was converted to conventional bombing use. It first served in combat during Operation Desert Fox in 1998 and again during the NATO action in Kosovo the following year. 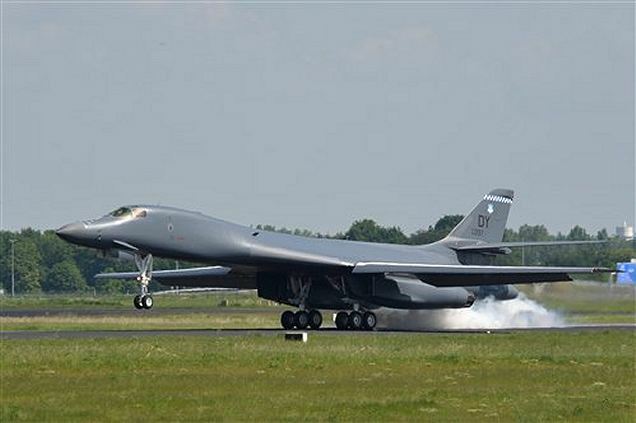 The B-1B continues to support U.S. and NATO military forces in Afghanistan and Iraq. 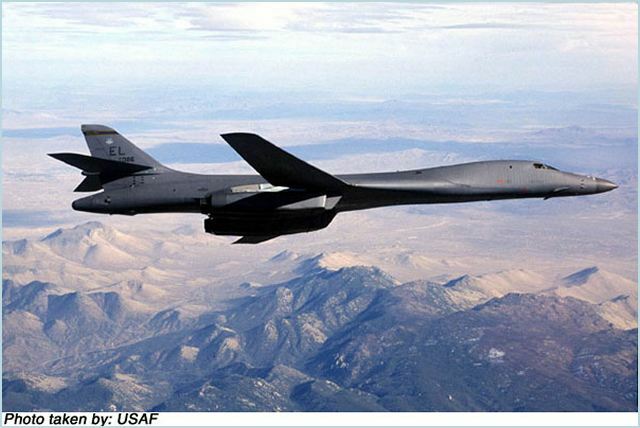 B-1R : The B-1R is a proposed upgrade of existing B-1B bomber aircraft. The B-1R (R for "regional") would be fitted with advanced radars, air-to-air missiles, and new Pratt & Whitney F119 engines. 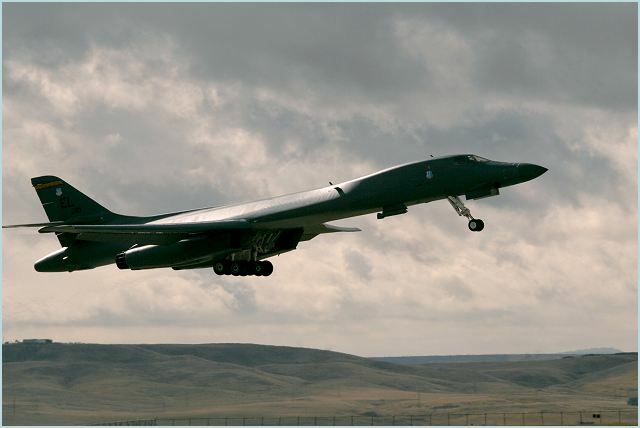 This variant would have a top speed of Mach 2.2, but with 20% less range. 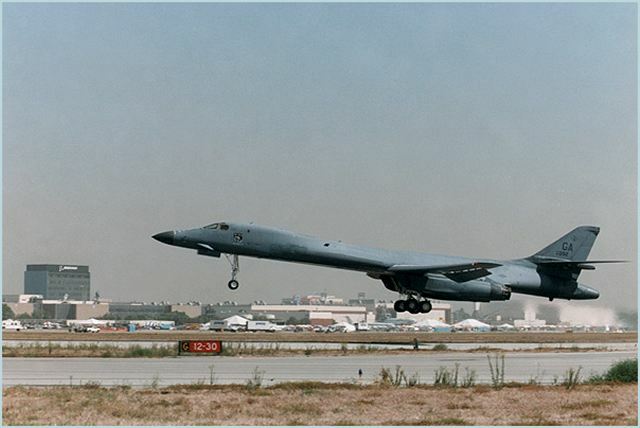 The B-1 has a blended wing body configuration, with variable-sweep wing, four turbofan engines, and triangular fin control surfaces. The wings can sweep from 15 degrees to 67.5 degrees (full forward to full sweep). Forward-swept wing settings are used for takeoff, landings and high-altitude maximum cruise. 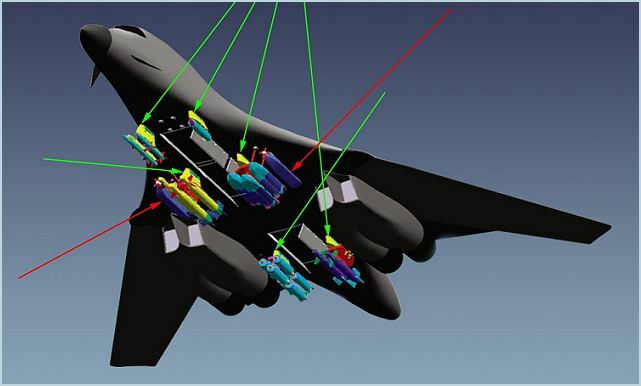 Aft-swept wing settings are used in high subsonic and supersonic flight. 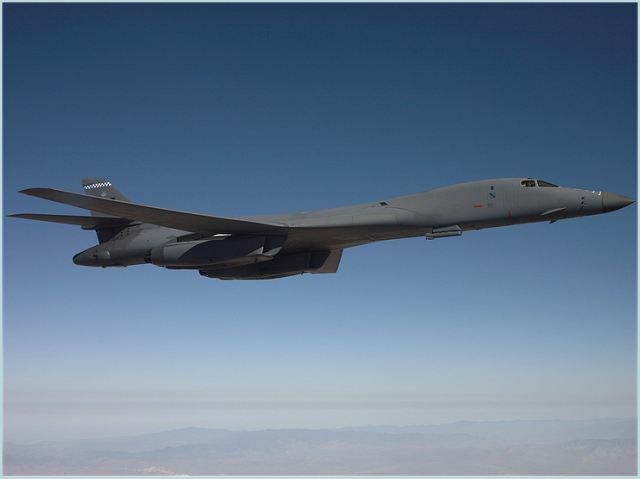 The B-1 Lancer is operated by four crew: pilot, co-pilot, defensive systems operator (DSO) and offensive systems operator (OSO). 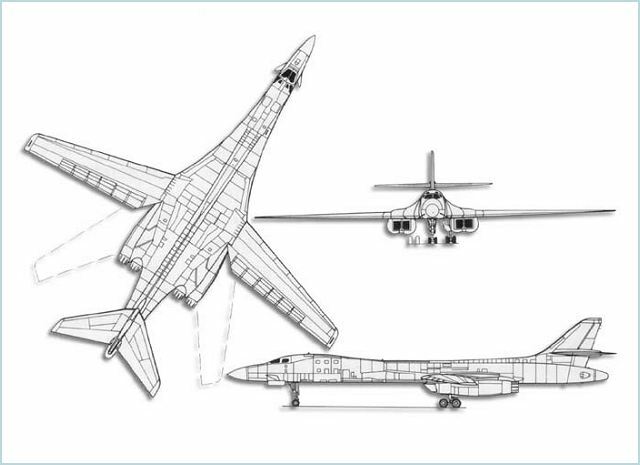 There are three internal weapon bays for up to 84 500-lb (227-kg) Mk 82 or 24 2,000-lb (907-kg) Mk 84 conven- tional bombs; alternatively up to eight AGM-86B air-launched cruise missiles, 24 AGM-69 short-range attack missiles, 12 B-28 or B-43 free-fall nuclear bombs or 24 B-61 or B-83 bombs can be carried; similar weapons can also be carried on eight external stores stations beneath the fuselage. 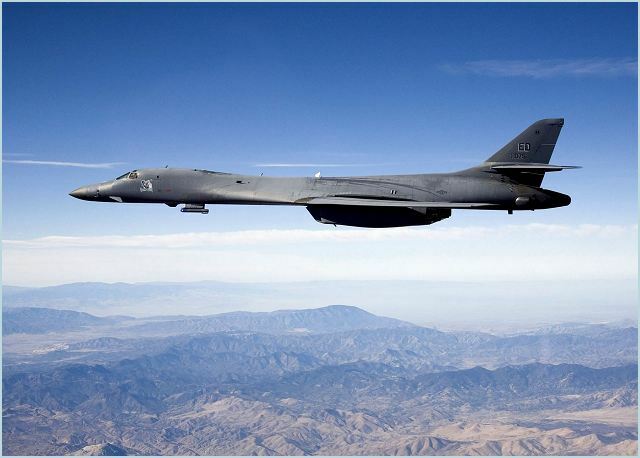 The B-1 Lancer is equipped with defensive avionics suite AN/ALQ-161 provides jamming against early warning radars and the fire control radars of missiles and anti-air guns. 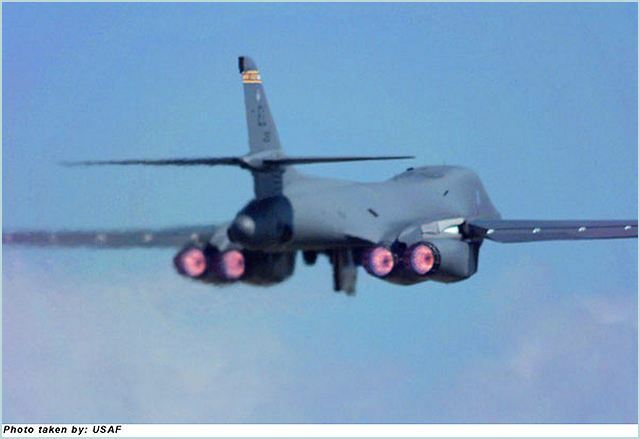 The system also incorporates Northrop Grumman jamming transmitters, Raytheon phased array antennas and a tail warning pulse Doppler radar, which gives rear-facing hemispherical coverage. The countermeasures equipment include also dispensers for expendable decoys including chaff and flares. The main radar of the B-1 lancer is the multi-mode offensive radar APQ-164 with an electronically scanned phased array antenna, which provides high-resolution terrain mapping, velocity data, beacon modes, terrain avoidance, terrain following, position data, weather detection, rendezvous and calibration modes. 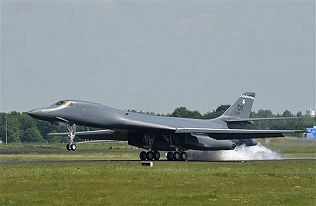 The B-1 is equipped with four 30,000lb thrust class F101-GE-102 turbofan engines from General Electric. 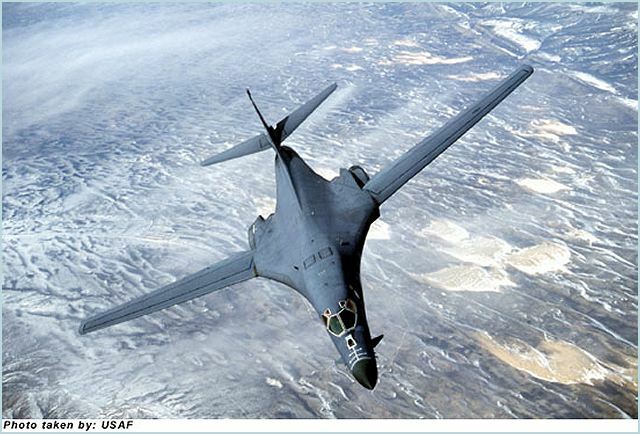 An in-flight refuelling receptacle allows refuelling from a KC-10 or a KC-135 tanker. 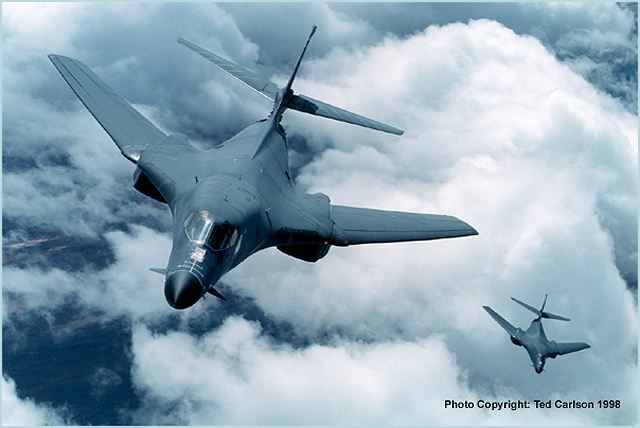 he B-1 Lancer can fly at a maximum speed of 1,448km/h. The B-1 Lancer bomber aircraft weighs around 86,182kg and its maximum take-off weight is 216,363kg. AN/ALQ-161 jamming and warning radar,ASN-131 radar altimeter, APN-218 Doppler radar Velocity Sensor (DVS), APN-224 radar altimeter, ARN-118 TACAN Tactical Air Navigation system, APQ-164 offensive radar and ARN-108 Instrument Landing System (ILS).